We are looking for business minded people who want to expand there existing business or operate a stand alone exclusive ResorFX service Centre. RestorFX is not a wax or a polish but a ploymimetic clear coat repair system that permanently repairs clear coat damage. The RestorFX Automotive Refinishing System includes our flagship product RestorFX Renew chemical paint restoration process, RestorFX Refinish advanced paint chip repair, and RestorFX Retain protective paint sealant. 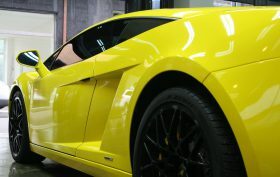 RestorFX pioneered the most advanced paint restoration and paint correction technology on the mark. CFX Protect is the finishing touch and extra layer of protection that a vehicles needs. 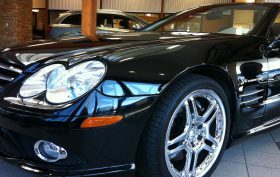 ClearFX offers a Full Service auto detailing interior and exterior. Our method make the headlight clear by wet sanding and then put a UV coat on it to seal it in. RestorFX is in the business of delivering the most efficient, permanent, and innovative technology and products on the market—with the goal of bringing the automotive detailing and refinishing industry to the leading edge. We do this by focusing on intelligent, smart tools that improve the industry, drive innovation, and provide incredible value and satisfaction to customers. Our mission is to bring innovation and technology to the automotive industry, inspiring businesses to grow beyond their traditional confines. Through our business practices and actions, we remind those we encounter that principles and relationships are not to be lost in the bottom line. They are the bottom line. Being a Distributor for RestorFX presents an unparalleled opportunity to grow and establish a revolutionary product and service over a large, exclusive region. Distributors are granted exclusive licenses over their territories along with much discretion for how to proceed with the business. RestorFX is continually refining its logistical and legal systems to comply with the complexities of operating a multinational manufacturing company. As RestorFX continues to grow, valuable distributor partnerships are needed to help expanded the company’s reach and influence even further. On-going support is a critical aspect of the RestorFX partnership. Partners are never left on their own after initial training and education is complete. The RestorFX corporate team and international representatives are available six days a week to provide technical and business support to help partners flourish. Don’t waste your time .. Join a professional team! RestorFX is not a wax or a polish but a ploymimetic clear coat repair system for professional use that permanently repairs clear coat damage. Using RestorFX requires skill, precision, and in-depth product knowledge. RestorFX pioneered the most advanced paint restoration and paint correction technology on the market that will restore a vehicle’s finish to look like its original factory condition. I own a fairly old BMW 2006 model. Paint over the years really needed professional restoration. Repainting the whole car was not for me, let’s face it because of the cost! Over a year ago I decided to restore the paint using RestorFX and I was shocked at the result! My car left the RFX garage like new! It was a great feeling to see my car in perfect condition again! Quality for money is incomparable! Thanks a lot team RFX Norway! For us as a dealer used cars customer satisfaction is the most important thing. 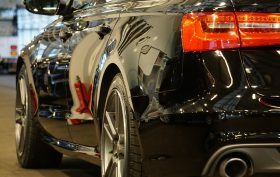 The renovation of car coat using RestorFX is unique and stands at the highest level on the market today. So that translates into a great interest in used cars from potential customers. That is why we value the cooperation with RestorFX is a pleasure for us and for our customers. This is what I meant. Now my car looks great. I do not know what to say .. Thank you my friend. Great car, I was pleased. Thank you for your work!